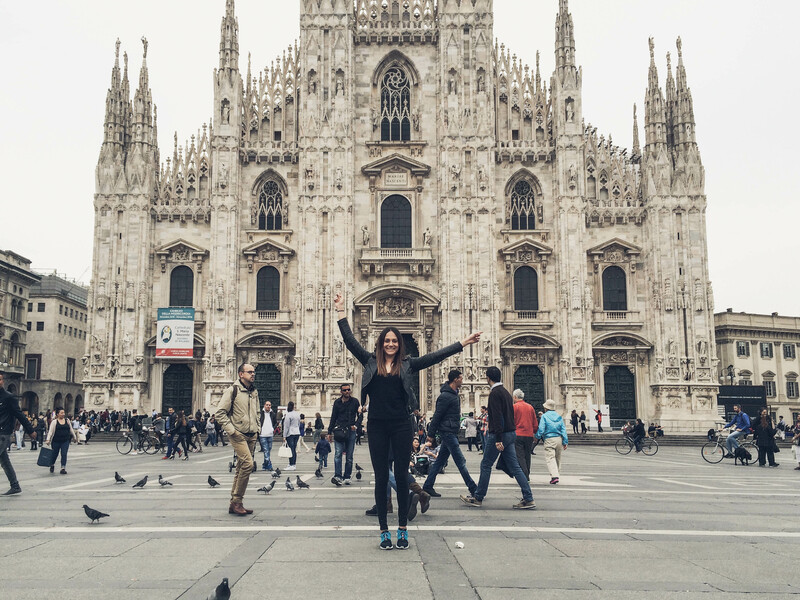 Finally, here’s a sum up post of my stay in Milan! When I think about it, I was there almost a month ago… time goes by so fast! Anyways, at least that’s a good distraction for me while being stuck with my thesis work haha! Milan definitely became one of my favorite cities because I fell in love with its urban vibes yet the traditional Italian spirit was present everywhere. I loved the diversity that this city has to offer and there’s always something to do, no matter the day or the time. Shopping, gelato, pizza, pasta, wine.. omg why am I not living in this country?! In the pictures you can spot some of the most famous sights around the city such as Duomo Square and Navigli canals. But stay tuned for a followup post where I will show you more of my other adventures in this beautiful Italian city! P.S. This pizza was the real deal! Luckily, I was visiting a friend of mine, who lives in Milan and she showed me all the best insider spots, just like this super small pizza place that served the BEST pizza ever!